The future of surface prep. During blasting, water encapsulates the abrasive and coating being removed, which prevents them from becoming airborne. The droplets then fall to the ground, keeping surrounding areas clean. With no huge plume of dust, others can continue working nearby. Unlike sandblasting, you don't need bulky containment methods. This means you can take your machine anywhere — even your customer’s location. Our eco-friendly process uses recycled bottle glass and complies with environmental regulations. It works hard so you don’t have to. By introducing water, we're drastically increasing mass and energy the machine is putting out. Forget back-breaking sanding or dangerous chemical strippers. Dustless Blasting is fast and simple. There is virtually no coating too tough for the Dustless Blaster. Our turn-key mobile business packages will give you everything you need to start a mobile paint stripping and cleaning business. You get to make your own decisions and keep 100% of the profit. Own your own mobile business for less than the cost of a pickup truck. We’ll help you every step of the way towards owning your own thriving business. Dustless Blasting is a revolutionary paint stripping and cleaning system that can remove virtually any coating from almost any surface, without creating a huge plume of dust. The Dustless Blaster works by mixing water and abrasive inside the blast tank. By introducing water, we’re drastically increasing mass and energy the machine is putting out, while supressing dust. How long has Dustless Blasting been around? We've been serving the restoration industry since 1941. That's over 75 years of experience to help you get started and succeed in your own Mobile Dustless Blasting business. Dustless Blasting suppresses the plume of dust, allowing you to work almost anywhere with minimal containment. Imagine that you are stripping a car in a football stadium. With Dustless Blasting, the blast media would be contained in an area about the size of the logo in the center of the field. On the other hand, if you were dry sandblasting, the entire stadium would be filled with airborne media. Unfortunately, the process isn't magic. Media that goes into the machine must come out, and it doesn't disappear into thin air. But compared to sandblasting, the process is essentially dustless because there are so few airborne particles. The Dustless Blaster will NOT cause warping, because friction and heat are reduced by the water. Warping occurs when the metal heats up due to friction from dry abrasive. In fact, the temperature of the metal being blasted usually comes down about 10º from ambient. Think of it this way - if you rub your hands together, they get warm due to friction. But if you rub your hands together underneath running water, they stay cool. The water eliminates the friction. No friction = no heat = no warping! Will it hurt glass or chrome? Glass and chrome can be damaged by any kind of abrasive blasting. You should always mask off the chrome and glass prior to blasting. Why doesn't it flash rust? By using a specially formulated rust inhibitor, you can prevent flash rust for up to 72 hours. Add the inhibitor to the blast water to prevent flash rust during blasting, and then use it as a rinse after blasting is complete. Our machines are eco friendly. Dustless Blasting can be used to etch concrete without using acids! Chemical etching is an environmental nightmare. Our innovative and powerful blast media is 100% environmentally inert! How do I clean up afterwards? When blasting over a hard surface like concrete, sweep up the used media and dispose of it. Or, you can lay out 6 mil plastic underneath your project. When you’re done, simply pick it up the sheet and throw it away. How much can I charge people for this service? Though it depends on your region, most mobile contractors can expect to make around $300 per hour of blasting. The types of jobs and services you will provide for your customers will vary greatly depending on the type of surface, length of job and much more. Contact us for more info on how to price jobs and we would be happy to send you some information! How much abrasive does it take? The machine uses approximately 200 lbs of media per hour. For example, to strip the average car, it should take about 1-3 hours and 4-12 bags of glass. The Dustless Blasting brand is recognized worldwide, and has gained a trustworthy and dependable reputation. This is something you will be building off of as you start your own Dustless Blasting company. In addition, we offer a complete marketing package that includes a website, social media presence, shirts, business cards, decals and much more to help you hit the ground running. How do I repair the machine? 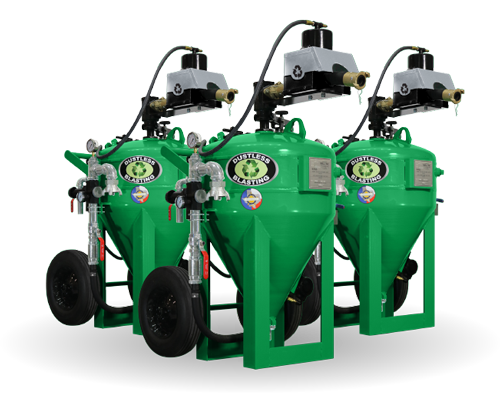 We offer a lifetime warranty on every Dustless Blasting unit we produce. That's a guarantee you can trust as you pursue your goals. Every machine is carefully inspected by a team of professionals, and we proudly stand behind the quality of our products. However, should you ever find that the machine is not operating correctly, please contact us for immediate assistance. We'll get you back to blasting in no time! Which unit should I buy? This depends on what type of jobs you want to tackle. All our machines are capable of the same process, but we offer various sizes that are appropriate for many different jobs, from small hobby projects to huge industrial-scale work. Our bigger machines need to be refilled less often, increasing productivity. Also, the higher the air pressure and CFM rating of the compressor, the faster the machine will be. What kind of compressor do I need? The compressor requirements, measured in Cubic Feet per Minute (CFM), can be found on the equipment pages for each particular blaster. 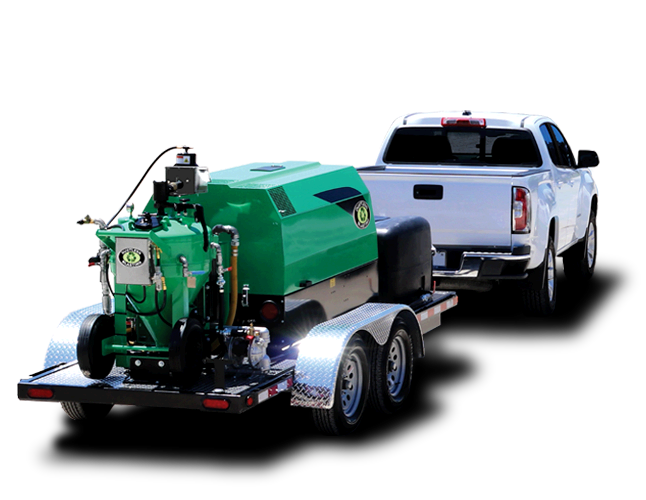 All of our mobile machines come with an appropriately sized compressor for maximum efficiency. What kind of abrasive is used? For wet blasting, you can use any abrasive as long as it is clean, consistent, and sinks in water. The most inexpensive and popular choice of media is recycled bottle glass. We recommend purchasing media locally to save on shipping costs. Our mobile machines are also capable of dry blasting, for which you can use any media that a traditional dry blaster can use. To see pricing immediately, please fill out our Instant Pricing Form, or for a more detailed breakdown, you can request a quote. You can always call us at 1300 304 415. How much does the abrasive and Rust Inhibitor cost? *This product will mix in a 1:100 ratio with water. So 19L of Rust Inhibitor will treat 1900L of water.